This tour is available in English, Spanish and German. French is also available April – October. Please select your preferred language when you book. Please note: the visit to the Blue Grotto is dependant on the weather and tidal conditions of the day. 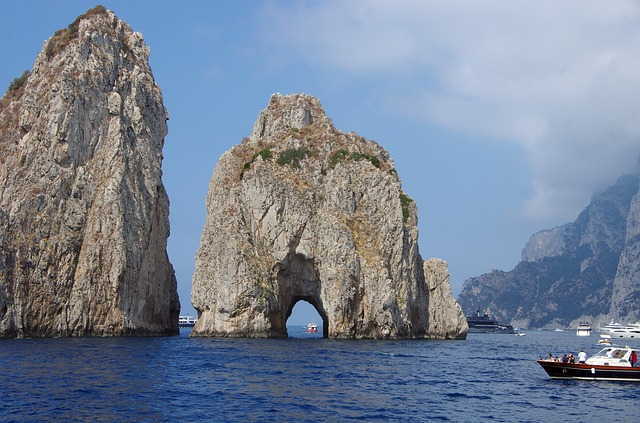 If the Blue Grotto is not available, you will enjoy a boat tour to the impressive Faraglioni rocks. If weather conditions prohibit boat tours, we will substitute the Blue Grotto with a land tour on the Island of Capri. This tour does not include accommodation pickup. The meeting point is close to the Piazza della Repubblica (Repubblica Metro Stop). 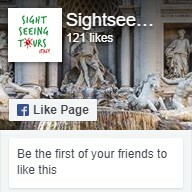 You will receive full instructions on where to you meet the tour once you have completed your booking. 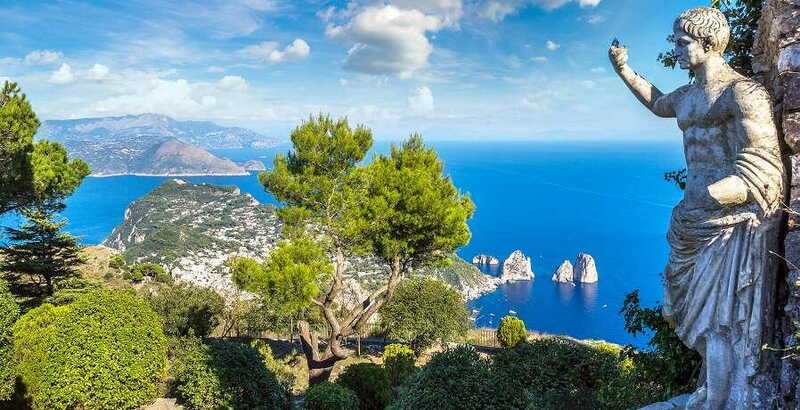 Set in the pretty surrounds of the Bay of Naples, Capri promises visitors a host of cultural activities and incredible sights. Known for its rugged landscape, endless shopping exploits, and beautiful sea views, it has a little something for everyone. On this one-day adventure, you can get a fascinating introduction to the area and learn more about its rich history. We kick things off with a drive along the “highway of the sun”. Along the way, we’ll pass reams of Roman countryside before making our first stop in the vibrant and bustling city of Naples. This gritty city boasts incredible ocean views and is set against the imposing backdrop of Mount Vesuvius. Here, there are numerous historic sites to explore, but we’ll hop aboard a ferry for the one-hour cruise crossing to Capri. Once on the island, you’ll get to tuck into a delicious, traditional Italian meal in a restaurant with beautiful views before enjoying an afternoon of free time. You can choose to wander the pretty laneways, ducking into artisan shops as you go, or kick back and relax with an Italian coffee in a local café. We’ll also take you to the spectacular Blue Grotto, an ancient cave that glows blue in the Capri sunlight. From there, we’ll make the ferry crossing back to Naples and jump back on the coach which will take us back to Rome.